Move right into this beauty and own a piece of beautiful, historic Petaluma! 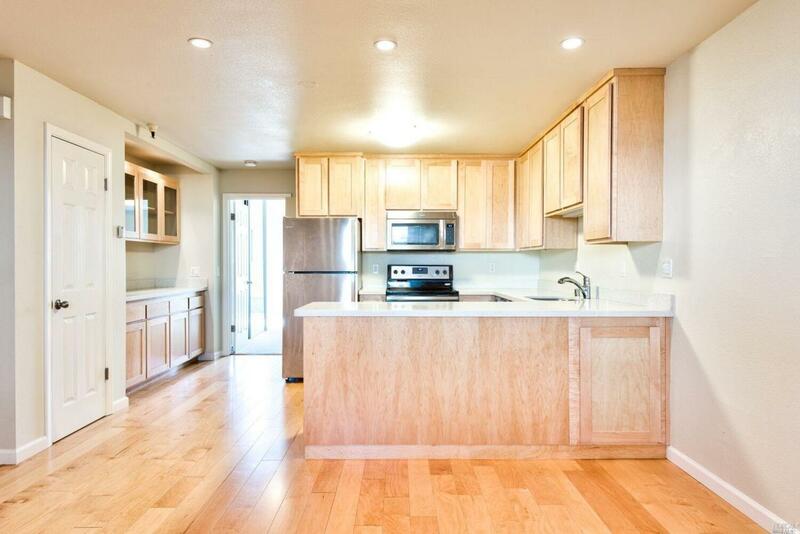 Light, bright single story lower level unit in Diamond Head Condo Complex. Remodeled with light maple cabinets and flooring. Stainless steel appliances and white contemporary stone counters. Tiled shower. Close to Theatre District, park and downtown Petaluma restaurants, shops and waterfront! HOA states one occupant must be 55+. Listing courtesy of Kim Rhinehart of Bhhs Drysdale Properties.